Batch N testing began three years ago in July, 2015. 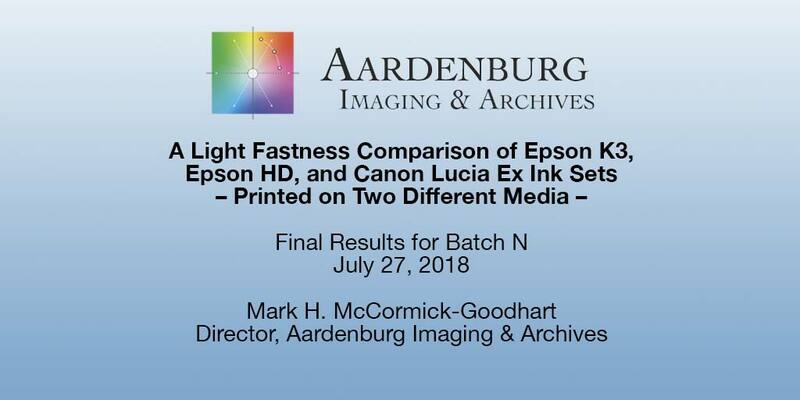 It is now complete as of July, 2018, and the final reports have been posted in the Aardenburg light fade test results database. 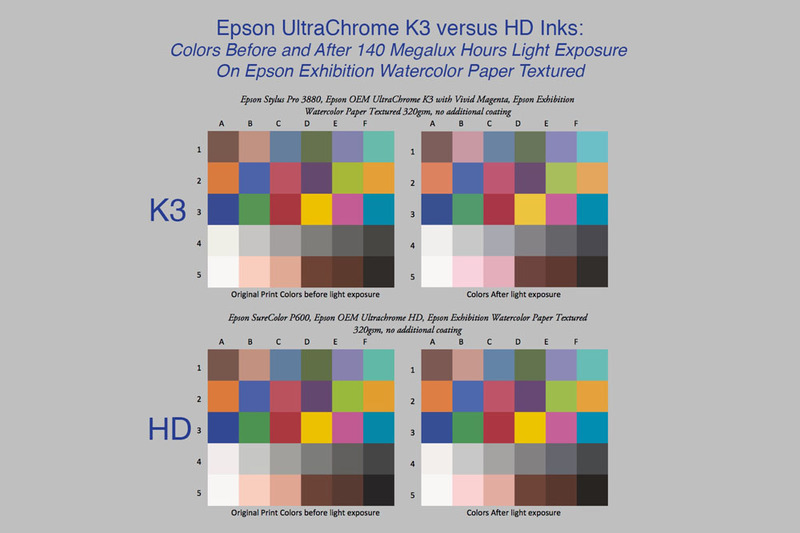 Batch N contains six printer/ink/media combinations designed to look at differences in the newer Epson UltraChrome HD ink set versus the older Epson K3 ink set. The Canon Lucia EX ink set was included as an additional comparison. The three ink sets were printed on two different media; Epson WaterColor Paper Textured 320gsm and Hahnemühle Photo Rag Pearl 320gsm. Custom ICC profiles were made in order to carefully match initial color and tone reproduction quality between all three ink sets on both media.